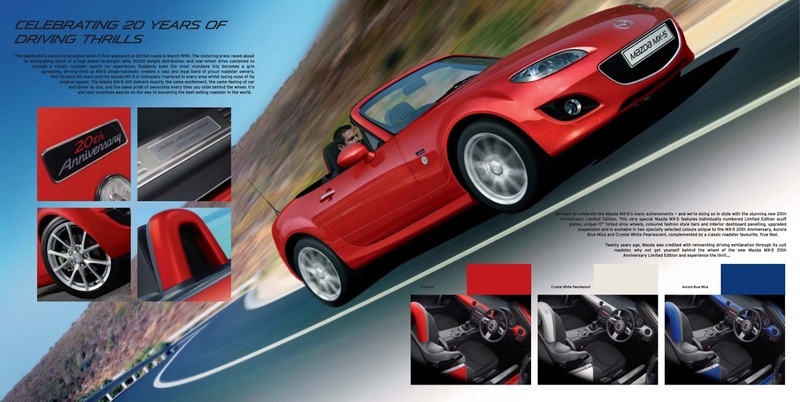 The 20th Anniversary MX-5 was a special edition for 2010 released to celebrate the MX-5's 20th birthday. 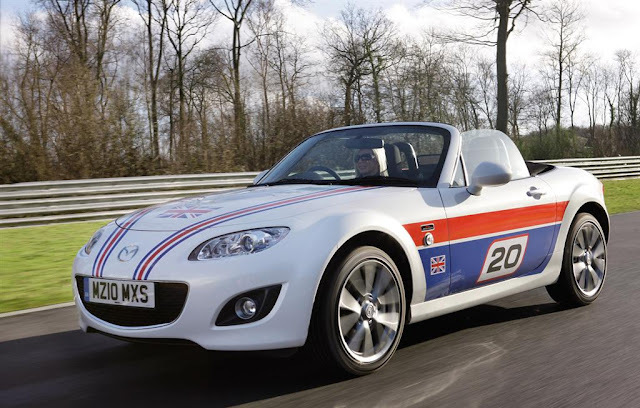 The car was based on the 1.8 model rather than the top of the range 2.0 Sport Tech. 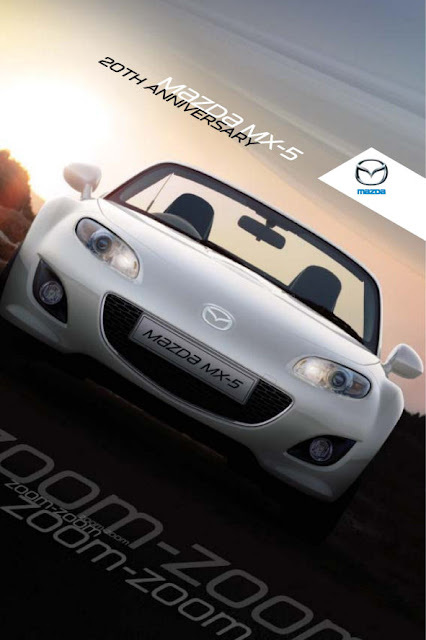 This was partly to remind us about the MX-5's basic roots and partly to boost sales of the smaller engine cars. Unlike the Japanese version of this car, there are no heated Recaro seats, just basic black cloth. 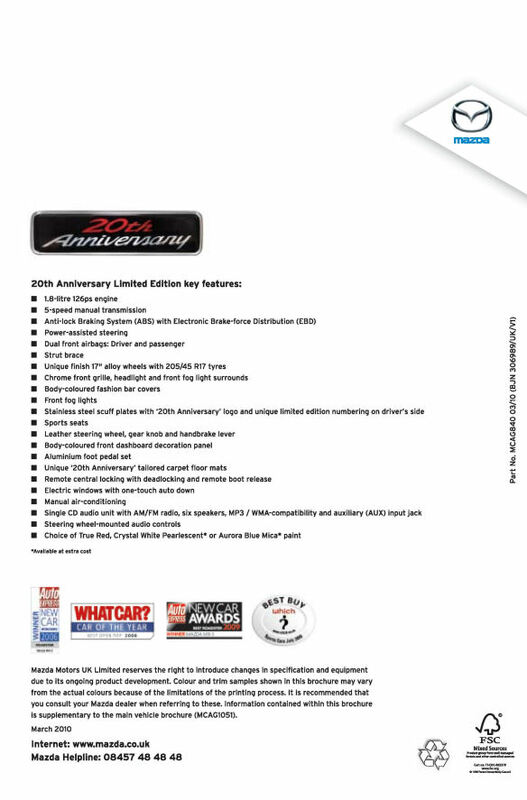 The 20th Anniversary model did get ten additional items of equipment worth £650, yet it cost just £55 more than the regular 1.8 SE model at £16,850 so it was pretty good value at the time. Some dealerships opted to promote the 20AE model with race inspired celebratory decals by Creative FX. 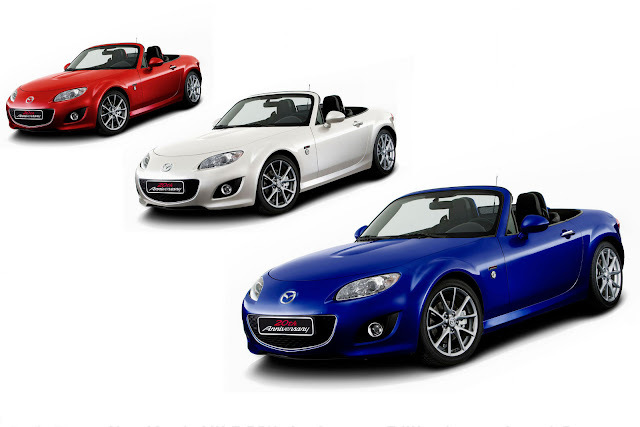 20th Anniversary was available in three colours (as a tribute to the very first MX-5), the white and blue paints were not available on any other model at the time. There were two mica options in Crystal White Pearl and Aurora Blue, with the classic solid True Red being the third choice. 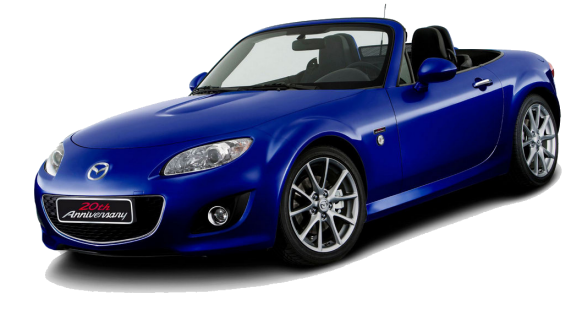 Aurora Blue, borrowed from the RX-8, has to be one of my favourite colours for the MX-5, a really nice shade and the one I would go for if you want to stand out. There were 600 20th Anniversary models allocated to the UK. The full list of additional features over and above the standard 1.8 SE is as follows, 17” alloy wheels with unique paint finish, stainless scuff plates with 20th Anniversary logo and limited edition number, front suspension tower brace, colour co-ordinated roll bar trims, colour co-ordinated dash trim panel, air conditioning, alloy pedals, and a chrome styling pack. The car also gets the front grille from the Coupe models. Unlike the 10th Anniversary NB, there's no souvenir gift box!